Every sport has a definitive year-ending event to crown its champions. In Thoroughbred racing, the Breeders' Cup World Championships is the culmination of the horse racing season worldwide and the $6 million Breeders' Cup Classic is the defining event of the international racing season. The Breeders' Cup Classic, run at 1 1/4 miles, draws the top international Thoroughbreds year after year. It is open to horses 3-years-old and older and is limited to 14 starters. Update: Keen Ice has been scratched due to injury & Diversify has decided to skip. Late-developing Arrogate, who in a little more than six months went from unraced 3-year-old to the toast of the racing world, ran down 2014 Horse of the Year California Chrome in the shadow of the finish line to win the Breeders' Cup Classic in one of its most memorable renewals. While this was Arrogate's first taste of Breeders' Cup success, the colt's connections have long feasted at the Breeders' Cup table. Jockey Mike Smith padded his all-time leading win total in the championship series to 25, while Arrogate's conditioner, Bob Baffert, won an unprecedented third successive Classic and 14th Breeders' Cup victory overall, second behind only D. Wayne Lukas. Owned by the Juddmonte Farms of Prince Khalid Abdullah, Arrogate captured the mile and one-quarter Classic in only his sixth career start. It was the owner's fifth Breeders' Cup trophy. The roan son of Unbridled's Song was mostly overshadowed leading up to the race by the presence of racing's all-time leading earner California Chrome, who was unbeaten in six races for the year. However, Arrogate was fresh from a record-smashing 13 ½-length romp in the venerable Travers Stakes at Saratoga, astonishingly coming in the colt's first-ever stakes performance. Afterward Smith gleefully exclaimed, "That was incredible. I'm at a loss for words. He's such a young horse. He's so talented. He's got amazing stamina. He doesn't quit. He's incredible." Added Baffert, "When Chrome was out there cruising, I thought no way he's going to catch him. Then all of a sudden, Mike's riding and he's catching up little by little with that big stride kicking in. I never though he would be able to catch Chrome." The colt's sire, Unbridled's Song, was also a Breeders' Cup winner, capturing the 1995 Juvenile, as was his own sire, Unbridled, triumphant in the 1990 Classic. Unbridled's Song now stands alone atop the Breeder's Cup sire list as Arrogate become a record fifth offspring to capture one of the championships. War Decree may just be the most intriguing horse in this year's Breeders' Cup Classic. The lightly-raced 3-year-old War Front colt will be testing the waters in America against the best, richest and most-seasoned horses in the world at Del Mar. But, trainer Aidan O'Brien doesn't enter horses in these races on a whim. The Irishman ranks third in all-time earnings among leading Breeders' Cup trainers, behind only Bob Baffert and D. Wayne Lukas. His trainees have made over $20 million in the championships. However, of his 11 winners, only two have been on the dirt and he's yet to win the Classic. War Decree won two of three races last year as a juvenile, including the Qatar Vintage Stakes at Goodwood in July. Away from the races until April this year, he returned with a sixth in the Bet365 Craven Stakes at Newmarket and a fifth in the Qipco Prix du Jockey Club at Chantilly. He finally rewarded his connections with the form they knew he possessed, scoring easily in the Koffy Diamond Stakes at Dundalk in late Sept.
"He's a horse who has a lot of natural talent but he can be a little bit tricky at times and it was nice to get him back to winning ways," said jockey Donnacha O'Brien, the son of his trainer. "War Decree has a lot of ability, but getting it out of him can be hard at times. He loved that surface and hard ground is what he needs. "He had a little break after his run in France, and that was a lovely prep run for him if he did go down the Breeders' Cup route. I would say that would suit him as he likes quick ground." Win the Space returns to the $6 million Breeders' Cup Classic after finishing unplaced in 2016. For the second straight year, he prepped for the race by finishing third in the Awesome Again Stakes at Santa Anita a month before the Classic. He certainly is no stranger to racing's grandest stages. Win the Space has competed against the best in the sport and finished close to such upper level performers as California Chrome, Dortmund and Midnight Storm. Win the Space had the look of premiere potential at the 2014 Fasig-Tipton 2-year-olds in training sale held that year at Adena Springs South near Ocala, Florida where he was sold for $360,000. He previously has been sold for $65,000 at the 2013 Keeneland September year sale. After finishing third in his first two starts, Win the Space was promoted to the Arkansas Derby and although he was unplaced that afternoon, he forever will have the distinction of racing against eventual Triple Crown and Classic hero American Pharoah. Owner Rustin Krest was inspired to buy Thoroughbreds on a trip to the 2010 Kentucky Derby with his then wife, Juliana. He began purchasing horses and launched his racing stable in 2011. He is the chief executive officer of Scorpion Internet Marketing based in Valencia, California and with offices in Colorado, New York and Texas. Much like last year in the Breeders' Cup Dirt Mile, Loooch Racing Stables and Glenn Ellis' War Story will once again be an outsider. Unlike last year, though, the son of Northern Afleet and half-brother to Fair Grounds Oaks winner and Kentucky Oaks runner-up Land Over Sea comes into the Dirt Mile off arguably the best race of his career when second in the Pennsylvania Derby Championship Sept. 24. Closing stoutly that day, despite an ordinary pace, the 4-year-old chestnut gelding came up a head short behind Cyrus Alexander for trainer Miguel Penaloza. Loooch Racing has twice raced in the Breeders' Cup in partnership, each time with Ria Antonia, Canadian champion 2-year-old filly of 2013 - the same year she was the adjudged winner of the Juvenile Fillies. One year later, she closed out her career with a respectable fourth in the Distaff. Parx Racing-based, stakes-winning trainer Penaloza only had one prior start as a trainer before 2016, but has done well in his first full year, with 26 victories from 142 starts. Steve Asmussen trained colt was tops in the 2016 Road to the Kentucky Derby Standings last year - he is currently rated as one of/if not-the-best race-horse in the world. He had five career starts prior to the Run for the Roses with four wins - two straight wins ahead of the Derby - the G2 Louisiana Derby and the G2 Risen Star Stakes - both results at Fair Grounds. He finished a respectable third in the Derby and recorded a win in the G3 Matt Winn Stakes after that at Churchill Downs last June 16. He has looked good in eight starts since - a good 5 1/4 length win last time out in the G1 Whitney Stakes on August 5 followed by another a win in gate-to-wire fashion in an eye-opening seven lengths with a 107 BRIS Speed Rating in the G1 Stephen Foster Handicap at Churchill Downs June 17. Before that was a good second behind Arrogate in the $10 million Dubai World Cup March 25, a 5 3/4 length win in the G3 Razorback Handicap at Oaklawn Park February 20, another win in the G1 Clark Handicap at Churchill Downs November 25 and a second in last year's Breeders' Cup Dirt Mile. A world traveler with a new trainer, Mubtaahij punched his ticket to the Breeders' Cup Classic with a score in the Awesome Again Stakes at Santa Anita in late September. The five-year-old has over $4.5 million in earnings thus far. The son of Dubawi moved into Hall of Fame trainer Bob Baffert's barn this July, and joins a virtual Baffert armada heading into battle in the Classic. His stablemates are the world's richest horse and defending Classic champ Arrogate, Pacific Classic victor Collected and Travers Stakes winner West Coast. The Baffert fleet of Classic hopefuls have a staggering $23 million plus in earnings between them. Mubtaahij won the Awesome Again by 1 ½ lengths, breaking a 10-race losing streak. "I think the blinkers kept (him) more focused today," Baffert said of the equipment change. "I didn't want to change too much, though. He's a classy horse. ... This horse-his last two works really impressed us. I just threw him in here and he has the class. He's proven." The well-traveled Mubtaahij began his career in England, then made several starts in the United Arab Emirates, including a resounding eight-length victory in the 2015 U.A.E. Derby. That score earned him a coveted starting spot in the Kentucky Derby, where he ran eighth behind eventual Triple Crown winner American Pharoah. Mubtaahij went on to finish fourth in the historic Belmont Stakes before returning to the Dubai. He has continued to pick up frequent flyer miles between the United States and the U.A.E. over the last two years. In 2016, he finished second to California Chrome in the Dubai World Cup, was third in the Whitney and second in the Woodward before a fourth in the Jockey Club Gold Cup. In his only other starts this year, Mubtaahij was runner-up in a Meydan handicap this past February and then was fourth in his second World Cup attempt behind his now stablemate Arrogate. Much like his namesake, Winston Churchill, Churchill, the Irish-bred colt, is a tough character willing to fight every fight. He has dodged none in 2017 in a testing 3-year-old year, competing in six Group 1 events against the best milers and middle-distance horses in Europe. Though he has lost his past four races, he has acquitted himself nicely against the likes of possible Breeders' Cup Turf favorite Ulysses, multiple Group I winners Ribchester and Decorated Knight and highly regarded Royal Ascot victor Barney Roy. His recent run of losses came after a string of seven consecutive victories, including four Group 1 events in Ireland and England. Those included two European classics, the 2,000 Guineas at Newmarket and Irish 2,000 Guineas at The Curragh. In 2016, he was crowned champion 2-year-old in Europe on the strength of consecutive victories in England and Ireland's top races for juveniles - the Dewhurst Stakes and National Stakes. Those wins came a few months after stamping himself as a horse with a future at Royal Ascot 2016, taking the Chesham Stakes with style. Churchill enters the Breeders' Cup after a respectable third, beaten 1 1/2 lengths, in the Queen Elizabeth II Stakes on Oct. 21 at Ascot on British Champions Day, finishing astern improving filly Persuasive and the aforementioned Ribchester, who is considered by many to be the top miler in Europe this year. It was the first time he was not the post-time favorite in his career, but was his first start in six weeks. He must turn around on two weeks' rest and compete over firmer ground than he has ever experienced if he is to be successful at Del Mar. Churchill is a half-brother to one of the top 2-year-old fillies in Europe, Clemmie. His father is the tgreat stallion Galileo, who is considered by many to be the top grass sire in the world. He has a commendable record of seven victories, a second and two thirds from 12 lifetime starts and nearly $1.8 million in earnings. Gary and Mary West's West Coast secured his dominance of the 3-year-old division with another lopsided Grade I win when he rolled to a 7 ¼-length victory in Parx Racing's $1 million Pennsylvania Derby on September 23, winning his fifth straight race, and increasing his lifetime mark to six wins in eight starts. "He is really a good horse," said his Hall of Fame jockey, Mike Smith, afterward. "He is just better than they are right now, as far as 3-year-olds go." Smith was right, and West Coast began backing up Smith's stamp of approval when the bay son of Flatter dominated the Travers Stakes at Saratoga on August 26. It had been 35 years since the three individual Triple Crown race winners squared off in the Travers Stakes at Saratoga. And this year, like in 1982, it wasn't one of them in the winner's circle at the historic spa in upstate New York. In the 2017 edition, West Coast who went wire-to-wire under Smith to capture the important milestone, leaving everyone in his wake including Kentucky Derby winner Always Dreaming, Preakness victor Cloud Computing, and Belmont Hero Tapwrit. It was the second consecutive Travers for trainer Bob Baffert, who sent Arrogate to Saratoga last summer. The Travers served as a launching pad for an incredible run for Arrogate, who now has earnings over $17 million including last year's Breeders' Cup Classic. >This year, an eager West Coast broke sharply and assumed the lead. Always Dreaming stalked in second and Cloud Computing was in the mix through a half in 48.12 with Irap, Gunnevera, and Tapwrit gearing up as they turned for home. But West Coast and Smith never had an anxious moment, letting it out another notch to win by three and a half lengths. "They said, 'Listen, you ride him however you want, and he'll put (in) a big effort,' and that means I could do whatever I wanted," Smith said. "He was a happy horse all the way around there. There was a time or two when they came to me, but he just put them away, and every time they would, he'd take a big breath of air, so I felt confident he'd continue to run well." West Coast, who was unraced as a 2-year-old, broke his maiden in his second start at Santa Anita in March, then was a good second in the Stonestreet Lexington Stakes (G2) at Keeneland in April. He captured the Los Alamitos Derby (G3) in his last start prior to the Travers. West Coast will now try to follow in his mother's footsteps and become a Breeders' Cup winner. His dam is champion Caressing, who won the 2000 Breeders' Cup Juvenile Fillies en route to divisional honors. Gunnevera and his trainer Antonio Sano both have impressive achievements. While the chestnut colt's success took place on track, many of Sano's remarkable accomplishments occurred in his personal life. Gunnevera established himself among the best of his generation when he won the 2016 Saratoga Special Stakes. For good measure, he took home top prize in the Delta Downs Jackpot Stakes to close his juvenile season. After winning the Fountain of Youth Stakes at Gulfstream Park, Gunnevera finished third in the Florida Derby as the favorite. He reconfirmed his top-shelf status with a runner-up effort in the Travers Stakes on August 26. "I am very proud of him," Sano said after the Travers. "It was a really good race. We expected first place when we came in, but we're happy with his race." Gunnevera returned to his Gulfstream Park West base with plans to train up to the Breeders' Cup Classic. For Sano, the Travers performance was more good fortune in a life once overcome by hardships. From a family of trainers and an accomplished trainer himself in his native Venezuela, Sano fled to South Florida in 2010 to escape the country's turmoil that included his own kidnapping. With support from his previous clients, Sano restocked his stable and soon was winning races. In 2015, Sano, as agent, bought 11 yearlings at Keeneland's September sale including a $16,000 purchase better known today as Gunnevera. His maternal grandsire, Unbridled, won the 1990 Classic and was third the following year. Three-year-old Pavel didn't make his first start until July of this year, but has quickly rewarded his connections for their patience. In his debut at Santa Anita, he cruised to a four-and-a-half length victory. Trainer Doug O'Neill upped the ante for the colt's next start, shipping him cross-country to Saratoga, where he ran fourth in the talent-heavy Jim Dandy Stakes. Making just his second lifetime start, he was swimming with sharks like Classic winners Always Dreaming and Cloud Computing. Pavel found the winner's circle in his next out, airing by five lengths in the Smarty Jones Stakes at Parx in Philadelphia. He then took on a seasoned bunch of heavy hitters in the Jockey Club Gold Cup at Belmont and finished third behind Diversify and Keen Ice. "He ran a dynamite race," O'Neill said afterward. "The race setup exactly how we thought, but the winner is a really nice horse. It was our horse's fourth start - fourth different race track - and I thought he [had] a really good, really gutsy effort today. "If he stays injury free I think his future is extremely bright. He showed he can run with these guys and I look forward to a rematch in the Breeders' Cup Classic." Calm, cool, and collected - that's what jockey Martin Garcia and his mount Collected had to be as they neared the wire in the $1 million Pacific Classic at Del Mar. That's because superhorse Arrogate was roaring down the stretch with dead aim on them. "I could feel a big animal coming behind me," Garcia said. "(It was like) when you are in a little car and you can feel a big car coming. I could feel it, and I was praying I could hit the wire first." The pair kept it together, giving Collected his first Grade 1 win - and allowing Garcia a huge sigh of relief with the half-length victory over the richest horse in the world. Collected nabbed the early lead in the Pacific Classic, while Accelerate (upset winner over Arrogate in the San Diego Handicap) stayed close and Arrogate settled in third. They stayed in that formation through the first three-quarters of the mile and a quarter race, before Collected started to pull away. Arrogate found his best stride in the last furlong and came with a rush, but couldn't get there in time. Bob Baffert trains both Collected and Arrogate, who has earnings over $17 million. Collected has not only out run his breeding as a son of City Zip, who was best known as a sprinter, but has also proven to be quite the bargain as a $150,000 purchase at the 2014 Keeneland September Yearling sale. To date, he has earned $1,260,500. Collected is a perfect four-for-four this season, and a winner of eight of his 11 lifetime starts. After breaking his maiden first out at Santa Anita, every start has been in stakes company. The Pacific Classic victory secured the colt a spot in the starting gate for the Breeders' Cup Classic as a part of the Breeders' Cup Challenge Series. UPDATE: Keen Ice has minor injury, to miss BC Classic. Because the Classic was scheduled to be the final career start for Keen Ice, he has been retired. "He's got a wrenched ankle and there's not time to let it quiet down," said his trainer, Todd Pletcher. Keen Ice doesn't win often, but when he does, the five year old makes it count. He's best known for being the only horse to beat American Pharoah during his three-year-old season in 2015 - the year American Pharoah became the first horse to win the elusive Triple Crown since Affirmed in 1978. Keen Ice, sent off at 16-1, unleashed a furious late run to beat him in the Travers Stakes at Saratoga. American Pharoah went on to a huge win in the Breeders' Cup Classic that year at Keeneland and to Horse of the Year honors. Keen Ice's second graded stakes win came this June, when he rolled to an upset in the Suburban Handicap at Belmont, defeating heavily-favored Shaman Ghost. That was just his third lifetime win in 22 starts, but he's earned over $3 million in his career. Since his Suburban triumph, Keen Ice has finished second in two Grade 1 Breeders' Cup Challenge races. He was the runner-up to Gun Runner in the 1 1/8-mile Whitney at Saratoga on Aug. 5 and finished one length behind Diversify in the 1 ¼-mile Jockey Club Gold Cup at Belmont Park on Oct. 7. The son of two-time Horse of the Year Curlin has also picked up some big checks in some of the sport's most valuable races. During his 3-year-old season, he was second in the Haskell at Monmouth, third in the Belmont Stakes and fourth in the Breeders' Cup Classic. He improved that Classic finish position at four, running third at Santa Anita. The Suburban victory came in his third start of this year. He ran fourth in the world's richest race, the $12 million Pegasus Invitational at Gulfstream (held for the first time this year), and was unplaced in the Dubai World Cup half a world away. Donegal Racing paid $120,000 to purchase Keen Ice at the 2013 Keeneland September Yearling sale. The storied Calumet Farm in Lexington bought into him this year, and Keen Ice will start his stallion duties there when he retires from the racetrack. Jerry Crawford founded Donegal Racing, which operates many racing partnerships, in 2008. An avid racing fan, Crawford developed an algorithm to try to pick classic winners to wager on. When that worked, he decided to see if would be just as effective in picking out racing prospects. "In 2008, I thought, `I am going to go to Kentucky, I'm going to buy a horse that fits my formula and see what happens,'" Crawford told Jessica Martini in a September, 2015 Thoroughbred Daily News article. "I'd bought horses before," Crawford said. "I wasn't a stranger to the business, but it was the first time I tried to use the algorithm that we'd created to buy a horse. And in September of 2008, the stock market collapsed and the first thing people stopped doing was buying horses. So, having been prepared to spend $250,000 to buy one horse, I spent $410,000 on eight. Then I was flying home trying to figure out how I was going to avoid paying alimony after I told my wife Linda that I'd bought eight horses. My buddies had always said, `Go buy horses and we'll be partners.' And that's how Donegal racing got started-that year that I bought eight horses, not quite by accident." UPDATE: Jockey Club Gold Cup winner Diversify will not enter the Breeders' Cup Classic. The 4-year-old New York-bred by Bellamy Road breezed at Belmont Park Saturday morning, clocking a bullet half-mile in :46.88 under exercise rider Rodney Paine. Trainer Rick Violette was concerned about the amount of speed pre-entered in the Classic, noting that it would work against the front-running Diversify's best strategy. Lauren and Ralph M. Evans' Diversify is the pride of New York going into the $6 million Breeders' Cup Classic. A New York-bred trained by Empire State-based Richard Violette, Jr., he has raced solely in his home state, but competed equally well over three of its very different dirt surfaces - Belmont's sweeping 1 1/2-miles oval, Saratoga's historic nine-furlong course and Aqueduct's often quirky one-mile inner track. Diversify enters the Classic in career-best form, having become one of the few New York-breds to capture the state's top race for older horses, the historic Jockey Club Gold Cup. Going to the front from the get-go under Irad Ortiz, Jr., the 4-year-old bay gelding was never truly tested throughout, setting realistic fractions before coming home impressively to a one-length victory over fellow Classic hopefuls Keen Ice and Pavel. That effort was his first try in graded company and followed two consecutive one-sided victories over fellow state-breds. A late bloomer, Diversify did not start until July of his 3-year-old year, a month after his generation had already completed the Triple Crown of 2016. He originally raced for WinStar Farm early in his career, winning his first two starts for them, but then was offered at Keeneland's 2016 November Breeding Stock Sale where the Evanses purchased him for $210,000. He reeled off two more wins for his new connections before a disappointing effort in the Stymie Stakes at Aqueduct, but rebounded for a pair of good seconds. He was runner-up in a tough allowance (behind Rally Cry, whom he would subsequently beat in the Gold Cup) and in the Commentator Stakes prior to the three-race win streak he carries into the Classic. 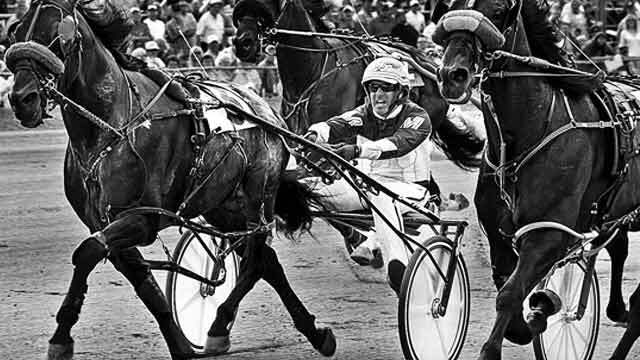 Overall, he has a record of seven wins and two seconds from 10 starts and $775,425 in earnings. A son of Wood Memorial winner Bellamy Road, he is strikingly similar in style and build to his sizable, free-running father, and he's flush with stamina on his mother's side. Altogether, he is a double threat of speed and endurance that could give swift types like Gun Runner and Collected all they can handle in the day's marquee event.